A quick reminder to stay current and updated with your EasyCart system! Just a quick reminder to stay current on your EasyCart updates. With 5.0 released, you can check your license renewals, extend support, or upgrade to Premium anytime! We have tested WP EasyCart to make sure it all works well in WordPress 5.0. Be sure to stay current on your updates before upgrading. If you find your WP EasyCart upgrades & support are not current, please visit your account anytime to renew your upgrades & support. 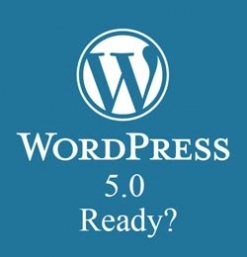 Here is a list of several frequent questions we have received about WP EasyCart and WordPress 5.0. My site looks different after upgrading to WordPress 5.0? This would be a good question to ask your theme developer, as it plays the vast majority of the role in your website design. If you do see a part of the shopping system in EasyCart looking different after you upgrade, just let us know. Is the new Gutenberg Editor used in EasyCart? No, at this time, all products still have the classic editor to build product descriptions. We are looking to make it optional in the future. Do I need to upgrade EasyCart to use WordPress 5.0? Yes, you should alway stay current with WP EasyCart as we release updates for security, compatibility, speed, as well as features. If something does not work, our first suggestion is to make sure all plugins and themes are updated. My EasyCart is expired, can I renew and then upgrade? Yes, just go to your EasyCart account by Clicking Here, and any license can be renewed. If you are looking to upgrade to our Premium, you can do so there.